Hello everyone, welcome back! 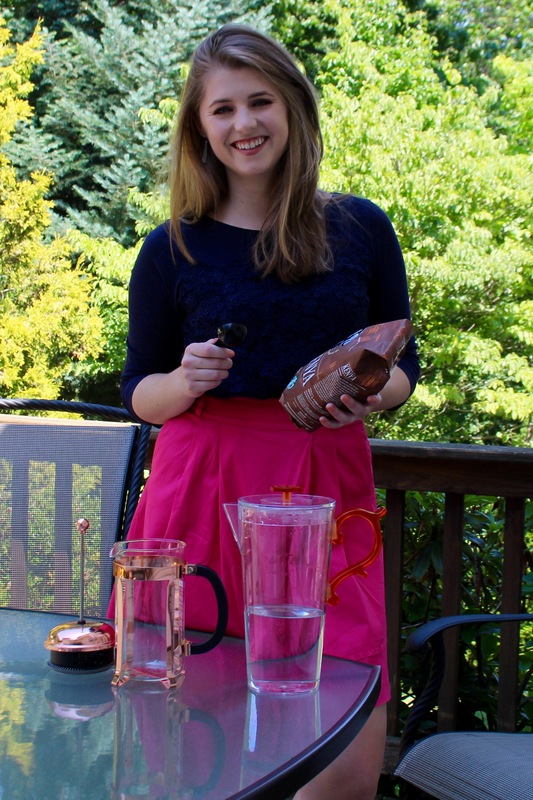 Today I’m sharing something I have a lot of experience with: making coffee. I was a shift manager at Starbucks for four years through college, and finding new coffee shops and coffee beans to try is one of my favorite ways to explore new cities. I always get asked to make coffee at holidays and parties, which has gotten somewhat comical at this point, but it’s true that I can whip out a latte (or 75) in my sleep. 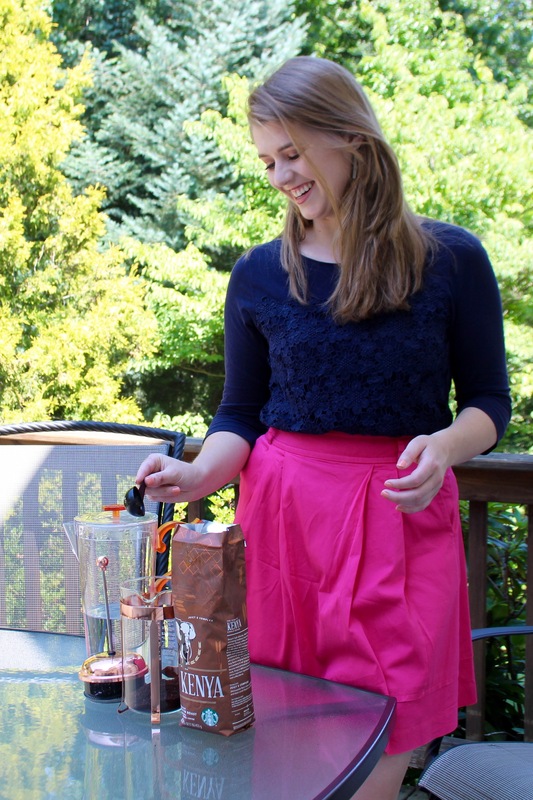 Today, I’m putting that experience to good use and sharing how you can make Cold Brewed Coffee at home, which is great whether you want to elevate your coffee game or save some money on your daily coffee! The main difference between a cold brew and a traditional iced coffee is the way that it’s made. A traditional iced coffee is brewed hot and then refrigerated or poured over ice. 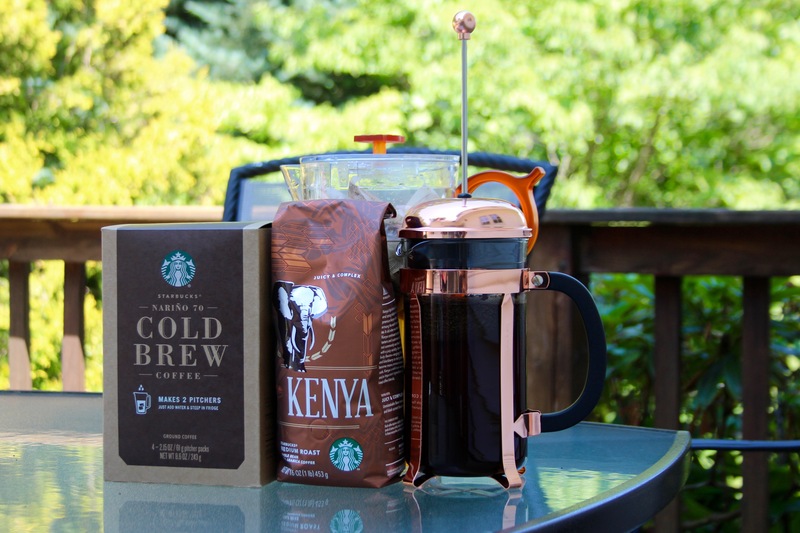 Cold brew, however, is brewed in cold water and steeped for several hours, resulting in a sweeter and smoother taste. You have to make it the day before, which makes the morning much easier since the heavy lifting has already been done by past you (well done). 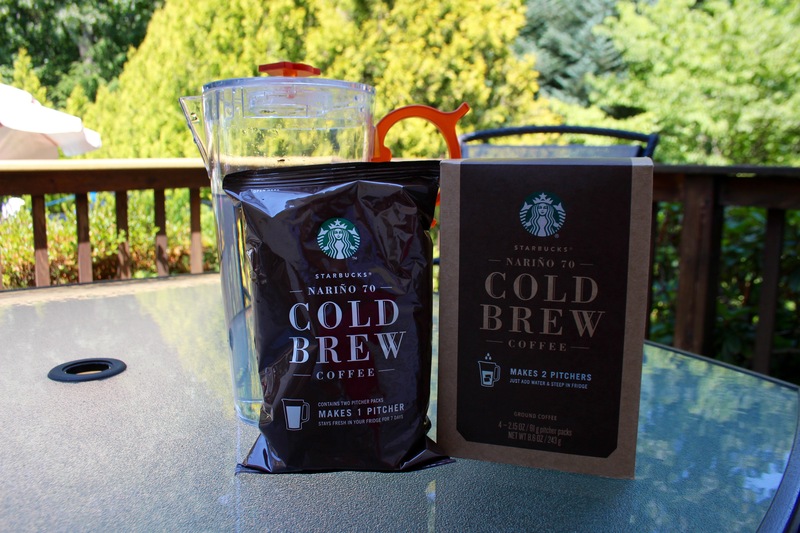 Today I’m going to share two ways to make cold brew, using these pitcher packs and using a french press! 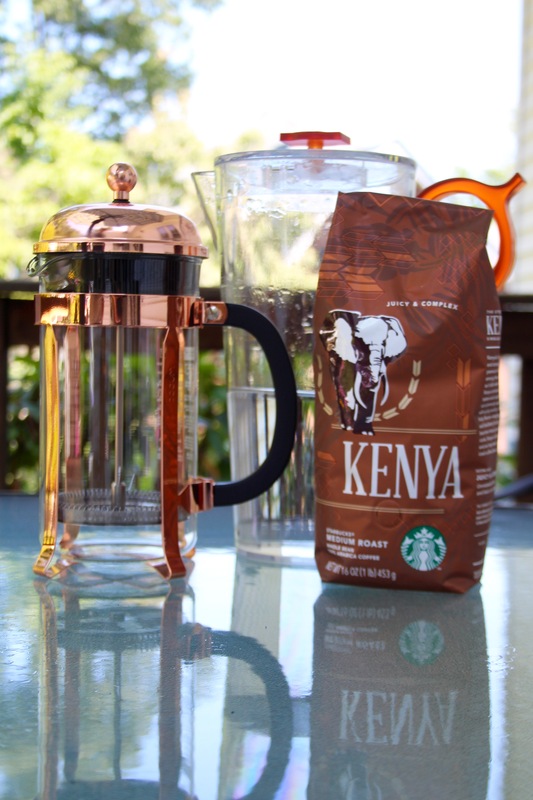 For the first batch, I used my copper french press and Starbucks’ Kenya roast, which tastes amazing over ice! 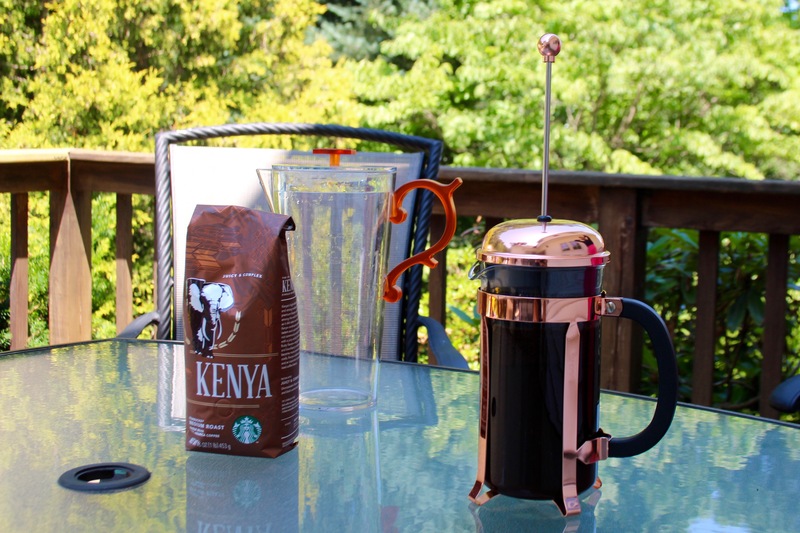 Make sure the coffee is ground for a french press. 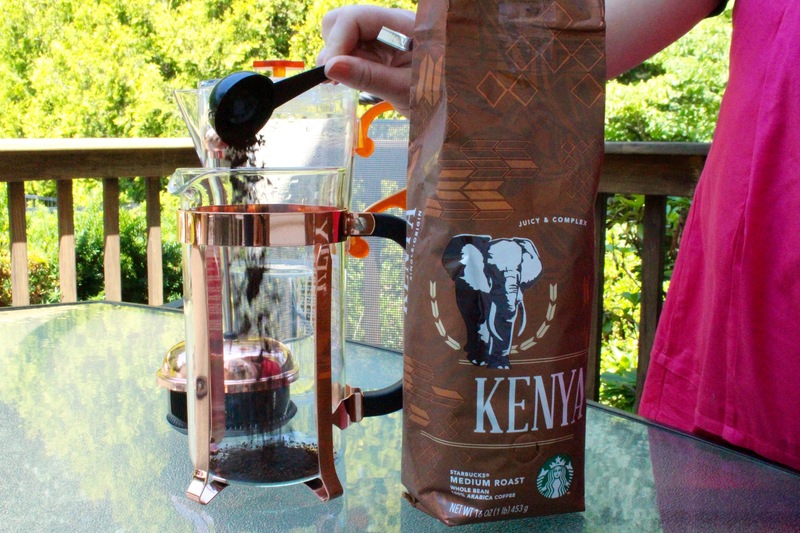 If you don’t have a grinder at home, Starbucks will always grind it for you at the store! 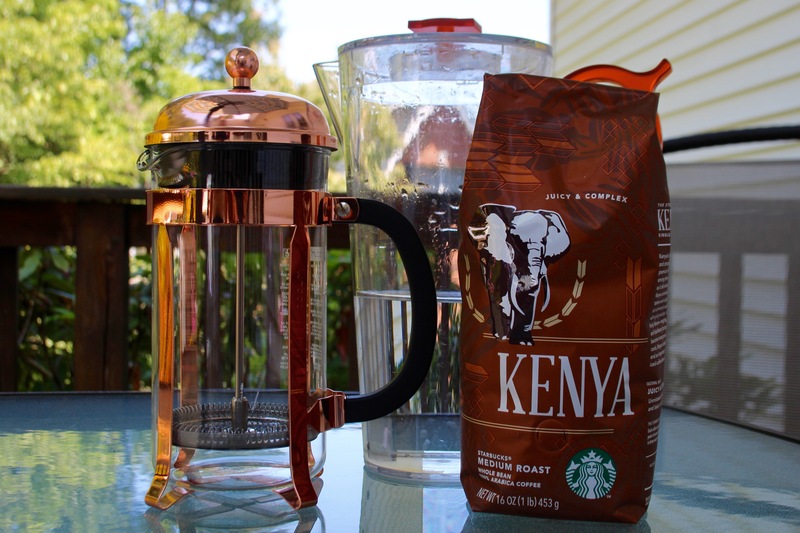 My preferred ratio of grounds to water is 1:5, so for my 34oz French Press, I made about 32oz of cold brew, and used six 1 ounce scoops of coffee (which came with the french press, but equates to just less than one cup of grounds). 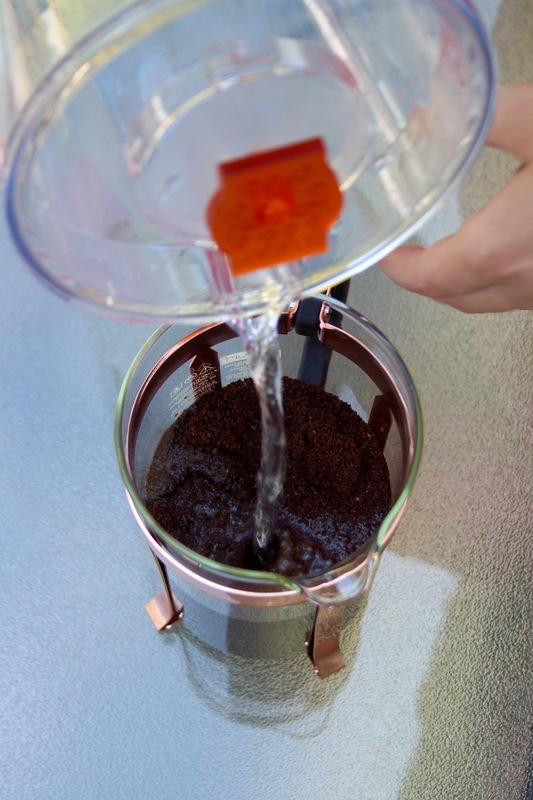 Add coffee grounds to the french press, and pour in the water making sure all of the grounds are wet, stirring them with a wooden spoon. 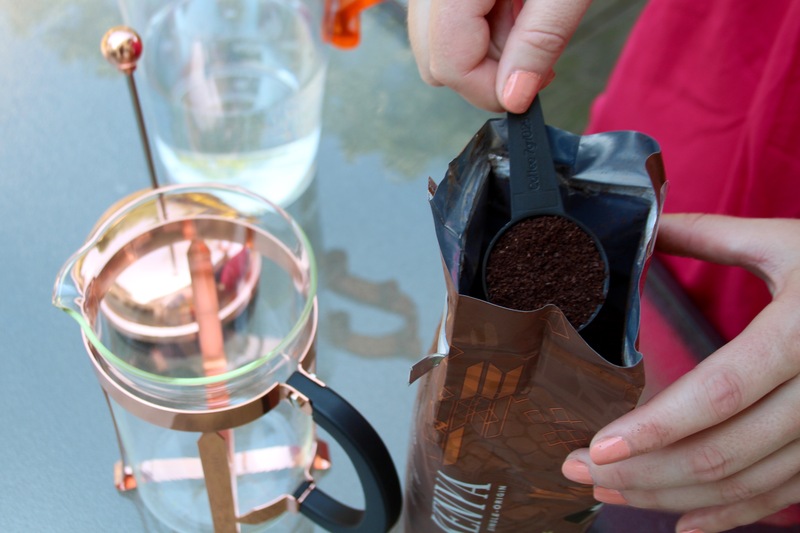 Cover the french press without plunging and store in the fridge. Ideally it should steep for 16-20 hours, but 12 will do just fine in a pinch. This next method is actually (somehow) even easier! I picked up two of these boxes of prepared Cold Brew at the Starbucks store, but they’re also available online. My pitcher is an old Tazo tea pitcher (which really shows how long ago I was working with Starbucks), but they have a really similar one here! 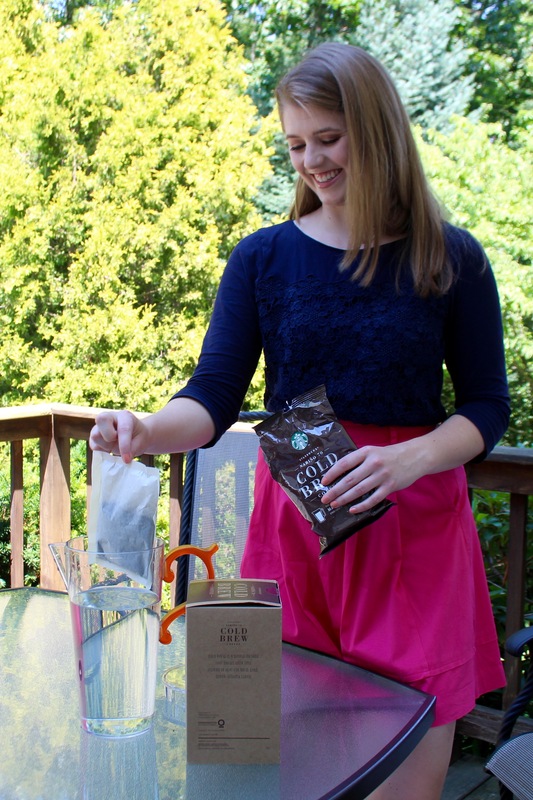 Take one bag out of the box (two pitcher packs) and put it in four cups of water. Let sit in the fridge for 16-20 hours. Add four more cups of water. Serve over ice and enjoy! Store any leftovers in the fridge. I happen to love super cold iced coffee during the summer, so a frequent problem I face is the watering down that inevitably happens if I don’t drink my iced coffee quickly enough. My next investment for my coffee corner will be these soft silicone ice trays, so I can make coffee iced cubes that don’t dilute the flavor at all! I hope you all enjoyed today’s post! Let me know what you think in the comments! I love this post ad you look so cute Caitlin! Question: what kind of coffee is in the Narino packets? I have a cold brewer that I love to use. But Ive tried several different kinds of coffee and none of them taste like the prepackaged stuff. Any thoughts?